Customer support and call center staff scheduling requires around-the-clock management. To succeed, large centers with complex scheduling needs benefit from agile scheduling tools. 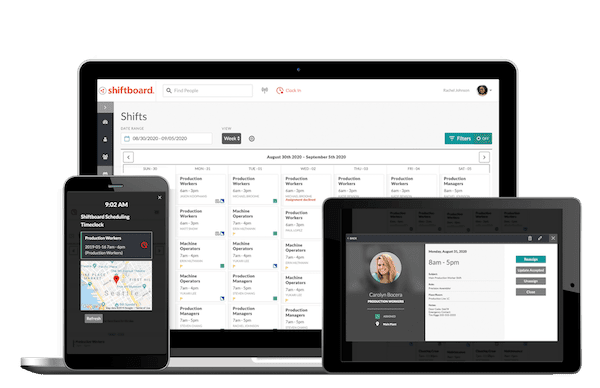 Shiftboard’s call center shift scheduling software helps you staff virtual, global, and in-house call centers. Additionally, our demand planning tools let you staff proactively, control costs, and keep top agents. You can manage your shift scheduling more proactively with real-time reports for labor forecasting and coverage. Shiftboard’s call center staff scheduling solution helps managers identify issues and avoid cost overruns. We have an open API that integrates with your CTI switch, time tracking system, or data warehouse to make reporting easy. With Shiftboard, you can run your scheduling from anywhere, on any device, 24/7. We’re dedicated to your scheduling success, so we guide you through the onboarding process and offer robust support as you use our software. When you choose Shiftboard, you can focus on providing the highest quality of customer service. Real-time Gantt chart views of 24/7 call coverage, auto-scheduling, and staggered breaks. Improve hiring and turnover. Let employees sign up and swap shifts using criteria that work for your call center. An accurate, real-time calendar keeps everyone accountable while lessening the burden on schedulers. Virtual call centers are easy to manage with a 100% web-based solution. It’s accessible 24/7 from anywhere. Shiftboard’s call center staff scheduling software allows you to move your schedule online. Forget phone calls, spreadsheets, whiteboards, and post-it notes when it comes to call center staff scheduling. With Shiftboard any employee schedule maker can easily organize vacation requests, shift swaps, and instantly find last minute subs. Save money with coverage charts and scheduling forecasts detailing overtime, under time, and time off. Call center staffing software lets you easily view coverage levels and staff specialties. 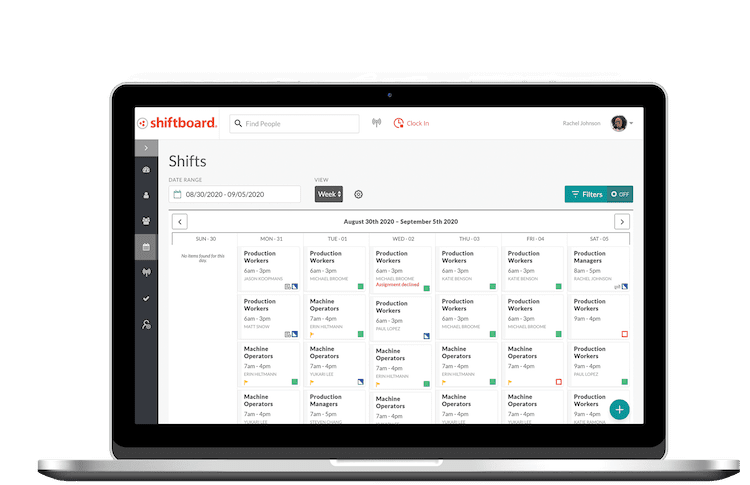 With Shiftboard, you can also prioritize tasks by channel to optimize staffing, improve service, and control costs. Shiftboard’s demand planning tools let you create schedules based on in-bound metrics and your goal service levels. We help you schedule your workforce more effectively so that you can improve performance, reduce overtime, and boost your bottom line. Employee coordination is much simpler with online schedule access, real-time updates, and instant communication–regardless of the size of your call center. Shiftboard is built to handle multiple locations, too. Always know exactly who’s working and when they clocked in. Automated shift alerts for call center employees get the right people to the right place, on time, every time. Improve communication with instant text alerts. Shiftboard shows you who’s available, making it easier to find last-minute substitutes.